Canvas is not supported in your browser. MAY 9 JOINT STOCK COMPANY (MAY 9) was founded in 1996. It was belonged to Nhabe Garment Im-export Company (HoChiMinh City) formerly, changed to Joint stock company beginning 2003 year. With a workforce of approximately 750 knowledgeably skillful workers in 03 workshops and 850 equipments / machines made in Japan. Our main products are high-class items such as: jacket, pants, skirt ... which is exported to EU, U.S. market with a capacity of 1,800,000 pants equivalent. We are willing to enter into joint venture, business cooperation with others in a framework for corperatative production development and mutually beneficial business. 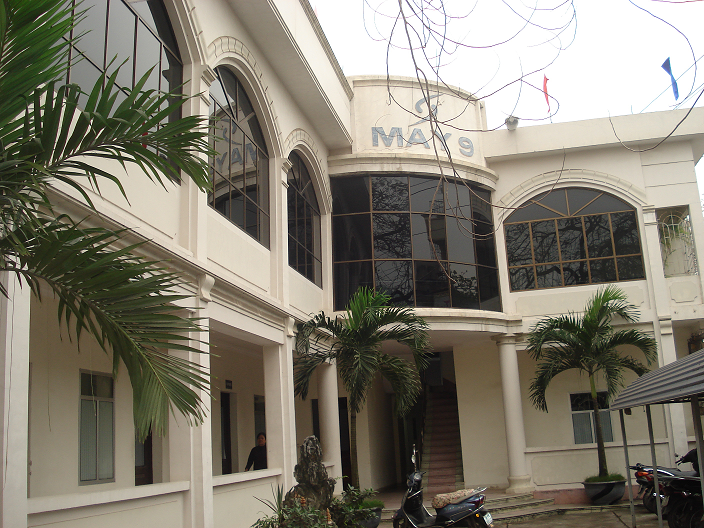 9 Branch / Representative office Ninh Cuong Garment Factory – Tan Ninh Village, Truc Phu Ward, Truc Ninh District, Nam Dinh Province. Beneficiary Bank: Vietnam Joint Stock Commercial Bank for Industry and Trade (Vietinbank) – Nam Dinh branch, Viet Nam. Address: 119 Quang Trung Street, Nam Dinh City, Viet Nam. Beneficiary Bank: Joint Stock Commercial Bank For Foreign Trade of Vietnam (Vietcombank) - Nam Dinh branch, Viet Nam. Address: 91 Quang Trung Street, Nam Dinh City, Viet Nam. Company has 04 buildings, 01 building for warehouse, technical, cutting and, 02 buildings for 02 workshops and the other ones for management sections. Another 32,000 square meters inside the city is space for investment. Ninh Cuong factory covers an area of ​​2.3 ha located 23km from May 9, including 2 workshops, warehouse, technical, cutting, finishing with the expectation of 1500 employees. 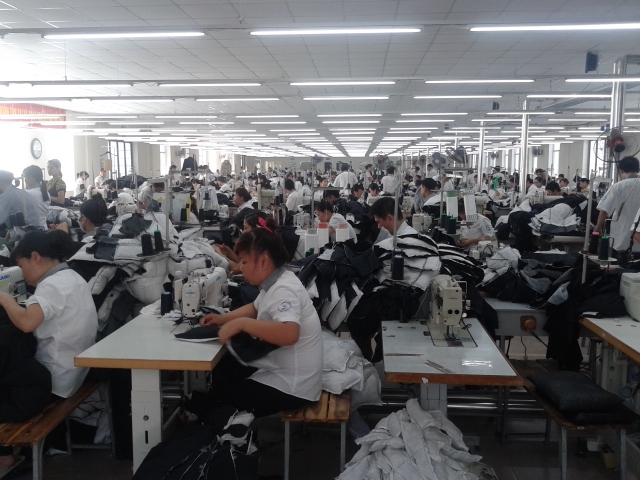 1 Factory address Ninh Cuong Garment Factory – Tan Ninh Village, Truc Phu Ward, Truc Ninh District, Nam Dinh Province. 4 Workshop Workshop 1 with warehouse, technical, cutting: 10 Sewing section x 55 Employees. Workshop 2 with warehouse, technical, cutting: 10 Sewing section x 55 Employees. Type of Material Micro fabric, PU Lamination, Denim, Cotton, Polyester, Poly amid. Company complies with all applicable law, rules and regulations on working time, over time, minimum wages. Company complies with local regulation on working condition, fire safety, health care. Company has been improving continuously our main targets such as management system, compensation, bonus, working condition, health care, safety, training programs, environment ... as well as the quality of product. Working day per week: 6 days. Overtime: not exceed 4 hours/day, 200 hours/year. The workers have right to refuse to work overtime. If they wish to work overtime, they are requested to register to the supervisor, the final decision must be approved by director. Break time for lunch: 02 hours. Overtime wage: 150% for regular working days, 200% for Sunday, holidays. All workers are provided uniform, protective equipments. Company supplies fully and completely fresh water, toilets to workers. All working sections included storages are equip good lighting, ventilating, first-aid box, exit routes, exit doors are always unlocked. Emergency and warning signs are ported clearly and visible to all workers. The medical staff are responsible for initial treatment. Board of Management contribute to medical insurance 24/24, accident insurance and social insurance for workers. The workers have right to establish and joint organizations of their own choosing as well as collective bargaining agreement. The Labor Union. Women’s Association, ... are recognized in the company. Company ensures that 100% finished garment in good quality before shipment. The inspection starts as soon as materials arrive in the warehouse of the company, materials must be inspected before cutting. The in-line QC and final inspections QC are responsible to inspect 100% the garments. After each inspection process, the inspectors have to make records and these will be sent to related parties and Production manager. All broken parts of needle or metal items must be collected and taped on Broken Needle Record Books. This will be retained by the supervisors. Bạn có lợi ích gì khi làm việc trong Công ty cổ phần May 9? Có mức lương cao trong tốp đầu của khu vực. Được đóng Bảo hiểm xã hội, BH y tế, BH thất nghiệp. Làm việc trong môi trường hiện đại hàng đầu. Có môi trường thuận lợi để làm việc và thăng tiến.